The month of Muharram marks the beginning of the Islamic new year. The Islamic/ Hijri calendar is based on the sighting of the Moon. Thus, it is only about 354 days long. I had planned on teaching my 3 and half year old the calendar months in Arabic beforehand but qadarallah we have been really busy lately planning and organizing our move. 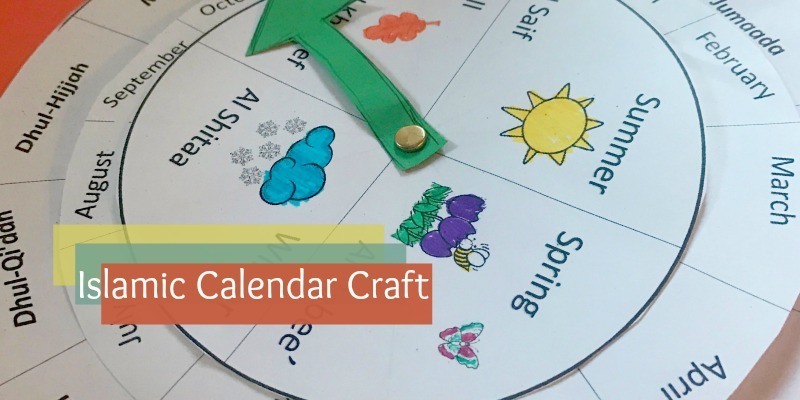 One of the crafts, I had prepared was a Rotating Circular Calendar. 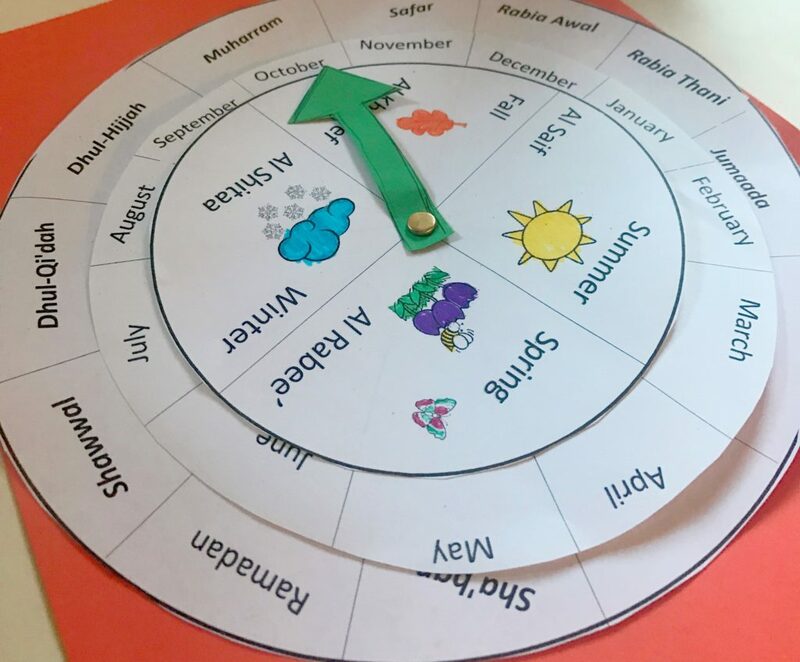 I think the visual relationship really helps them see how the Gregorian calendar and the Islamic calendar as well as the seasons all interact. 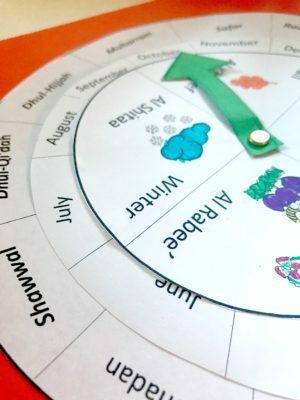 Even though I haven’t taught her the Arabic months yet, I have allowed her to play around with it and to learn the seasons. I guess its just that time of year to discuss the different seasons ;). You can either make this on Word (as I have) or draw it by hand. You will need to draw or print out three different sized circles. Write the 12 months in Arabic on the large circle, while the months in English on the medium sized circle. Divide the small circle into 4 and write the seasons. You can hole punch or just insert the paper fastener to keep all three circles together. Its optional to add the arrow.